CFP: Can Comics Be Poetry? 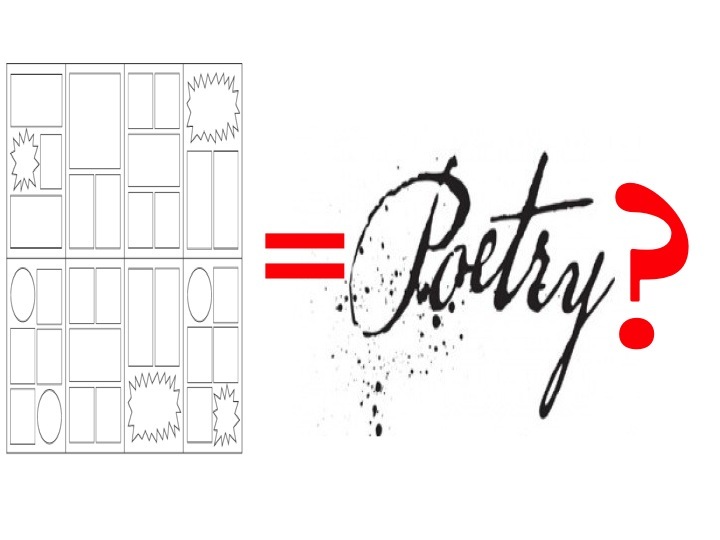 A Special Topic CFP: COMICS AS POETRY? Comics scholars lament the problematic association of comics and fiction. Many of the most celebrated “graphic novels” are not novels at all but autobiographies. These “graphic narratives” make use of fictive literary devices, to be sure, but they also employ other devices of storytelling distinct from fiction. Nevertheless, we may be left wondering whether long-form comics can ever convey literary meaning without narrative. What gets lost in some of the genre-squabbling over graphic novels is the extent to which comics can be poetry. This panel probes the possibilities of a lyric comics mode, a comics form that has more in line with poetry than narrative. Which long-form comics share modes, devices, strategies, and forms with poetry? How do comics accomplish or perform the poetic? What happens to McCloudean “closure” when poetry’s “non-sequitur” panel-to-panel relationships predominate? What new ways of thinking about comics must we consider in light of comics poetry?